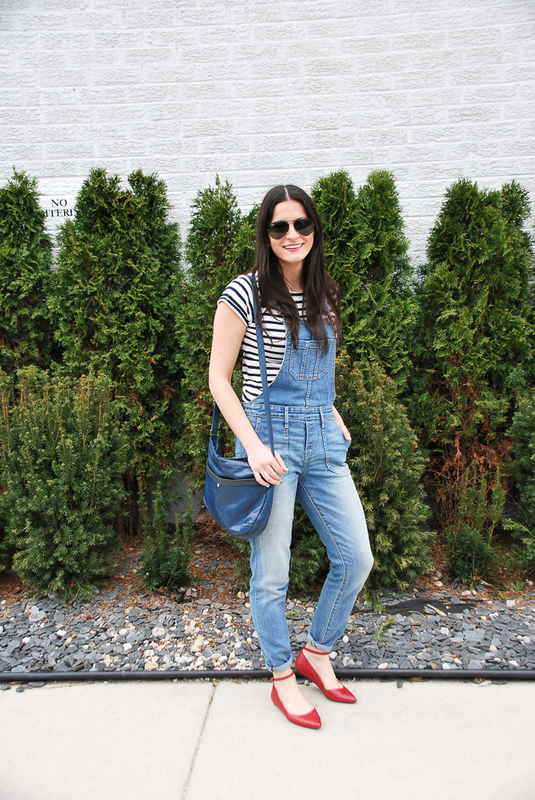 A classic spring look is definitely overalls + a striped tee. 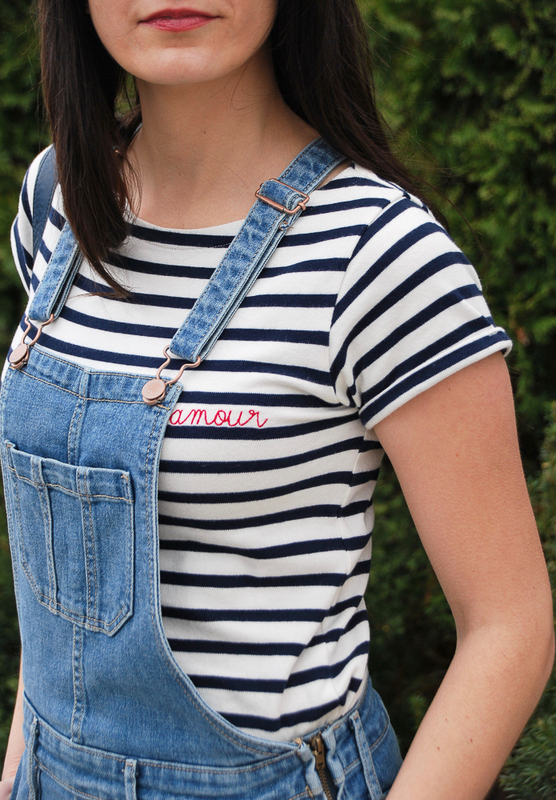 This ‘lil striped amour tee is one of my favorites because my brother and sister got it for me from France last summer. (See how I first styled it here.) I also just discovered that you can buy the brand Maison Labiche on ASOS! It looks like they started a new addiction for me. Not only are the shirts super cute, but comfortable and classic! 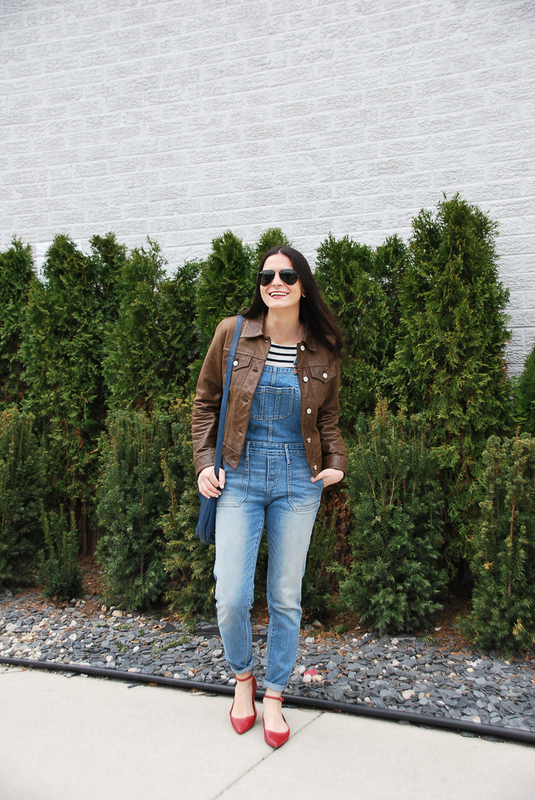 Every day my style evolves and lately I’ve been gravitating more towards basics, with a twist obviously. 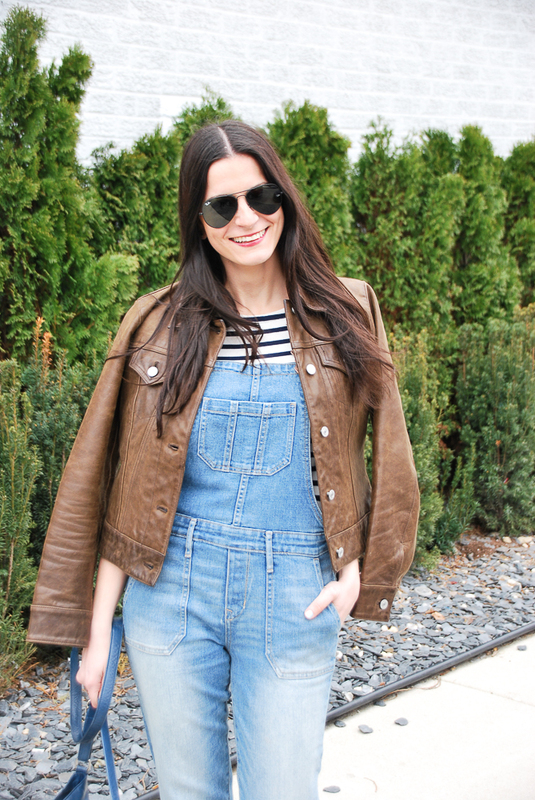 I had this urge to purge everything in my closet and start fresh (asides some items that I will never let go of like these fitted overalls and GAP leather jacket that I’ve had forever). I’m still in the midst of this process because I have too much stuff, but I’m hoping to finish by this weekend. My virtual closet is looking pretty stylish if you ask me, but it’s time for my lovelies to find new homes. Does anybody else ever get the urge to refresh your closet?! Maybe it’s because I’m tired of seeing my winter wardrobe, but I think the simplicity of my new goal will be a good thing for me! 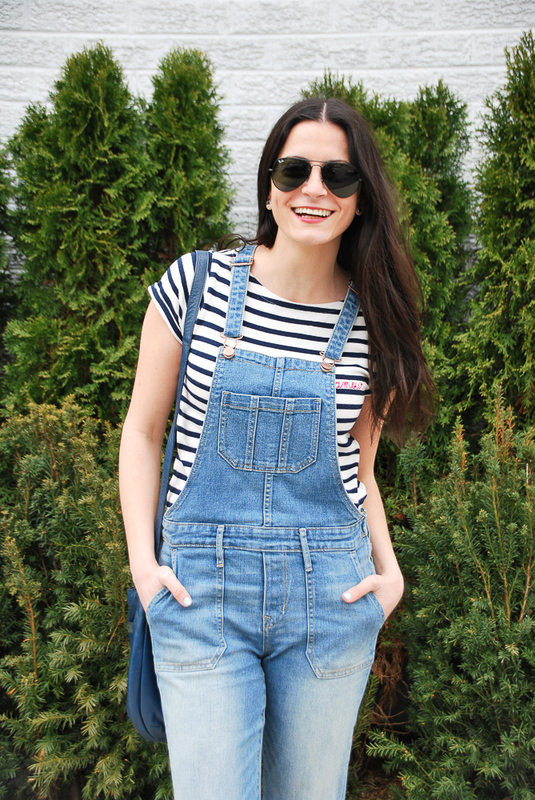 Below are plenty of options of skinny overalls (because a fitted overall is the key to not looking like you’re twelve) along with basically my new Maison Labiche wardrobe and all the red pointy flats you could ever dream of in your closet!